Consider the airport, the fact that it’s essentially a lonely place animated by your inward thoughts and seeming props called people who move around from gate to gate; you don’t know them, and they don’t know you, it’s just a motion picture of strangers moving about. The furniture is the only constant; the airport is a place of goodbyes and contemplation, where one is always leaving something behind, saying goodbye and pondering the unknown ahead. I will never forget sitting in Spokane airport on my way home from a business trip, accidentally learning that my plant was about to be closed and that I would be losing my employment shortly, buried in my thoughts and apprehensions. The furniture was there, listening to my mentations. And so it was and is, never a happy place, just a temporary zone filled with thoughts and emotions. 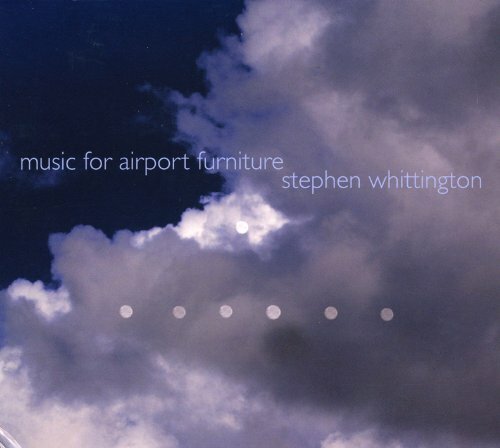 Australian composer Stephen Whittington has captured this state of emotion and pensive reflection perfectly in this 23 minute piece played by the Zephyr Quartet (two violins, viola and cello), the title a nod to Erik Satie’s Furniture Music, a gentle piece of wandering musical thoughts and ruminations, and melodies that never seem to resolve. It could have been five or ten minutes long and captured the same emotional content, but it is what it is, a musical statement that conveys a single feeling, and does it very well.